To raise awareness for Breast Cancer Awareness Month, I wanted to share five things that you can do RIGHT NOW to reduce your risk of getting cancer. This information applies to all types of cancer. It’s currently the #1 cause of death in women 40-79 and men 60-79. If you’ve already been diagnosed and currently going through treatment, following these tips will also increase your quality of life and chance of survival. 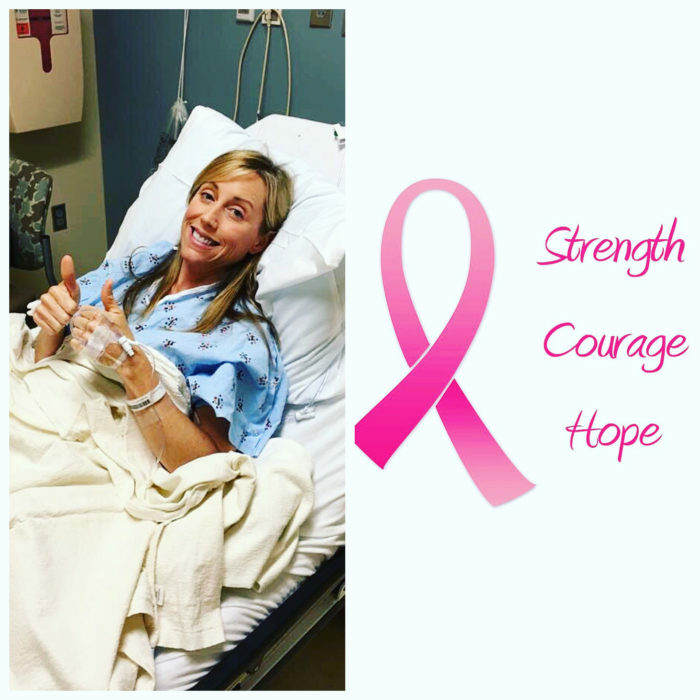 Being diagnosed with breast cancer this past February was pretty surreal. No matter what your diagnosis (early stage or progressive disease), going through cancer treatment is a scary, life-altering experience. 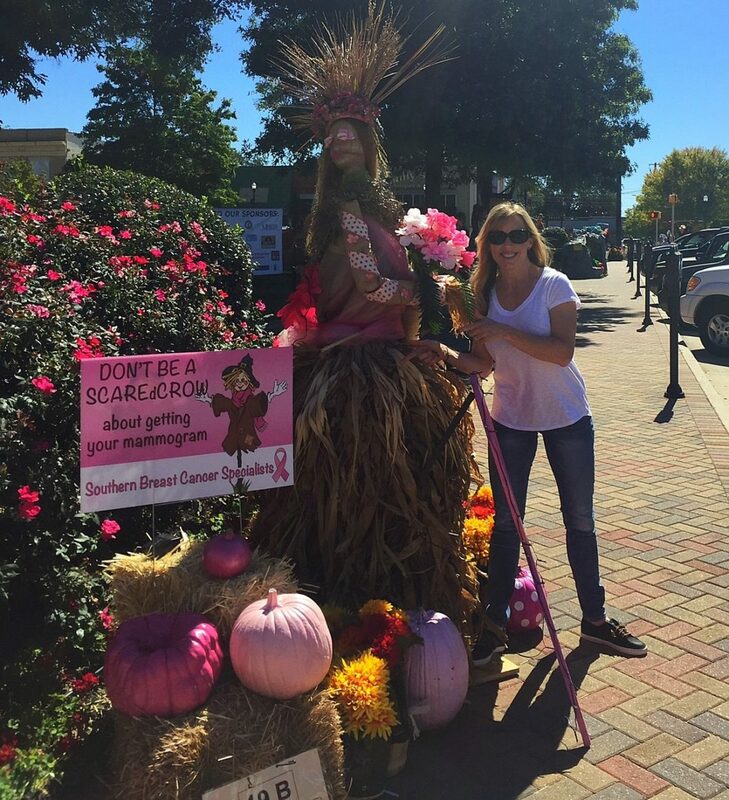 It fueled my mission to raise awareness and promote regular screening for early detection. Early detection saves lives!! I shared the details of my cancer story here on the blog *see below. I was very physically fit and ate a primarily whole food based diet when I was diagnosed. I have no history in my family, I don’t carry a BRCA gene and my lifestyle wasn’t at all conducive for this kind of diagnosis. Learning that I had DCIS and LCIS, stage 3 (high nuclear grade) ER/PR positive cancer rocked me to my core. I remember having this chronic brain fog feeling when I was diagnosed. I had such a hard time wrapping my mind around what was happening in my body. I just knew that I needed to do whatever it was going to take to be around for my family and live out a full, healthy life. From the get-go, my mind was always set on kicking cancer’s a** and moving on with my life as quickly as possible. Surviving and thriving was and remains my #1 goal. My healthy lifestyle did made a huge difference in my recovery and healing. When my docs gave me the green light to exercise, I jumped back in and started working on rebuilding my strength and mobility. Staying active not only helped my physical recovery, but really helped my mental state, as well. Which brings me to my first tip for reducing your risk of cancer and increasing your chance of survival if already diagnosed. It makes no difference what you do to get moving, just do something! If you are sedentary, start by walking for at least 30 minutes a day at a brisk pace. As your physical fitness improves, increase to 60 minutes a day of moderate or 30 minutes of vigorous activity every day. The U.S. DHHS and ACSM recommends that cancer survivors be as active as their conditions and abilities allow and avoid inactivity. Having a higher BMI increases your cancer risk, so it’s important to maintain a healthy weight. Exercise is the key to longevity and vitality. Get your heart rate up 5 days a week doing an activity or sport that you enjoy. Research suggests that you need at least four hours of moderate to vigorous exercise activity to significantly reduce your risk. Some of the largest studies on breast cancer survival rates were conducted in the Breast Cancer Family Registry and the Collaborative Women’s Longevity Study, each study enrolling more than 4,000 breast cancer survivors. The Collaborative Women’s Longevity Study found that there was a 51% decrease in breast cancer mortality for those that were physically active. Exercise seemed to have a favorable dose-response effect for those that increased their total activity post diagnosis. Exercise has to be a non-negotiable part of your day! Add it to your calendar and block off time to take care of yourself. If motivation is an issue, hire a trainer for accountability and to help keep you on track. An investment in your health is always money well spent. I love the 80/20 rule for good nutrition. Keep the core of your diet rich in lean, unprocessed protein sources, fresh vegetables and fruits, a good balance of healthy fat sources (nuts, seeds, avocados, olive oil, etc.) and fiber-rich whole grains. Protein intake is very important for everyone, but especially cancer patients for tissue repair and recovery. Scientific research shows that 25-30 grams per meal is best for satiety and body composition. Eating a diet rich in vegetables and fruits also reduces your cancer risk by improving body composition, boosting immune function, reducing inflammation, reducing oxidative stress and improving cellular growth. As much as we might love enjoying our social cocktails, excessive alcohol intake has been shown to increase cancer risk. According to a meta-analysis in the Journal of National Cancer Institute by Larsson, Giovannucci and Wolk (2007;99:64-76), the risk seems even more elevated in women with low folate intake. Limiting alcoholic beverages is not only good for your health, but can reduce your risk of getting cancer or recurrence. Stress can be hard on the body and even toxic in some cases. Make sure you balance mental and physical stress (i.e. high intensity workouts) with things that relax and rejuvenate. I love yoga, massage therapy and just good old R&R to restore the soul, relax the muscles and calm the mind. Sleep is incredibly important for overall health and immune function. I’m sharing an infographic from Precision Nutrition on why you need to prioritize getting those zzz’s. As the say, an ounce of prevention is worth a pound of cure. Being vigilant and proactive with your health is key to health and longevity. 85% of breast cancer diagnoses are in women who have no family history of the disease and 1 in 8 women will be diagnosed in their lifetime. These are staggering statistics. Make sure that you schedule yearly medical check ups, mammograms and gynecological visits. Early diagnosis can be the difference in life or death. Don’t put off preventative actions that can save your life. It definitely saved mine. Enjoy Life. Be Active. Nourish Your Body and Live Well. Thanks so much for sharing your inspiring story. These are all so important in prevention. My mom is a breast cancer survivior, and we recently learned that we both have the BRCA1 mutation, so I’ve got to be very vigilant about all of these, including mammograms and MRIs starting next year (I’m 24). Way to kick some cancer booty!